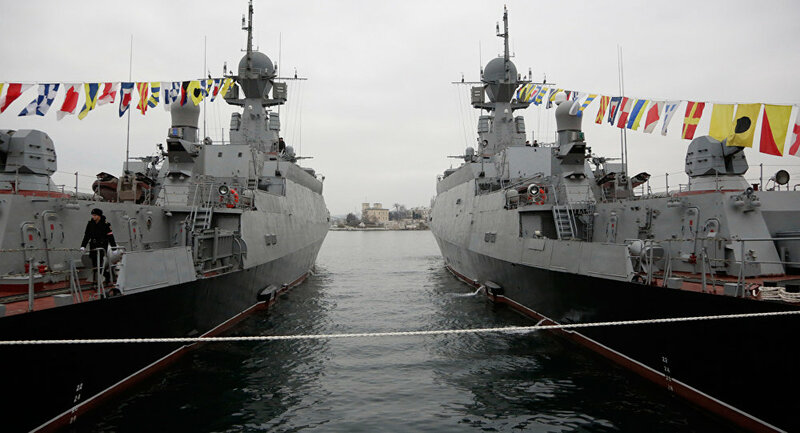 Two Russian Black Sea warships equipped with Kalibr cruise missiles will remain in eastern Mediterranean at least until next month, a military and diplomatic source told RIA Novosti on Wednesday. The Serpukhov and Zeleny Dol small missile ships carried out three Kalibr launches against the Jabhat Fatah Al-Sham (al-Nusra Front) targets in Syria last Friday. “Their return to the base was planned this month, but at the moment the situation in Syria requires that they remain in the eastern Mediterranean at least until September,” the source said. Russia began an anti-terrorist operation in Syria in September 2015 at the request of Syrian President Bashar Assad. The Russian submarine Rostov-on-Don fired a salvo of Kalibr cruise missiles from the Mediterranean Sea against Daesh targets in Syria. The Russian Defense Ministry has released a video of its first-ever submarine launch of Kalibr cruise missiles. 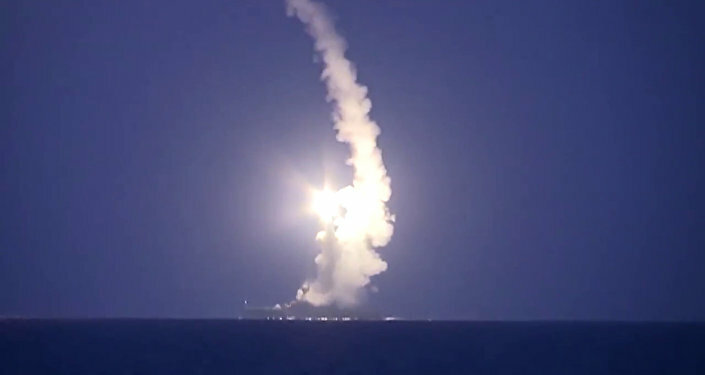 The missiles, launched by the Russian submarine Rostov-on-Don from the Mediterranean Sea, obliterated two Daesh (ISIL) command posts in Syria. Moscow has conducted airstrikes against Daesh in Syria since September 30 at the request of Syrian President Bashar Assad. Russia’s Caspian Flotilla warships have also previously carried out Kalibr missile launches against Daesh assets in the war-torn country.